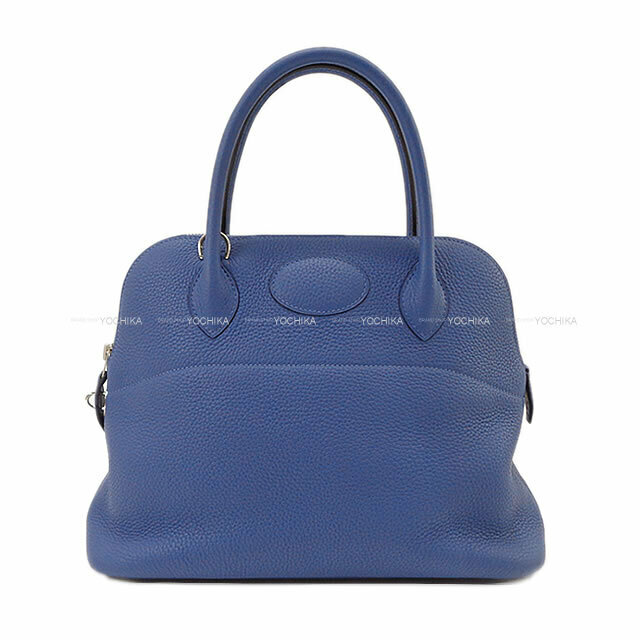 Casual bag "Bored" of the form that is beautiful and soft feminine form that curve draws. It is also famous as the world's first zippered bag. The gusset is a bit shallow, but you can bring it in the same way as you did with Barkin. Exquisite blue color is popular "Blue Brighton"! Although it blends in with the nature naturally, the color which is never too plain is attractive! The material is a soft and soft impression and a sense of stiffness is the point of Taurillon. It is durable against scratches and dirt and is one of the most popular HERMES materials. The ease of use with fasteners is the No. 1 among the HERMES bags! Bored that can be stored plenty has been supported by a wide range of ages. Please buy at this opportunity!